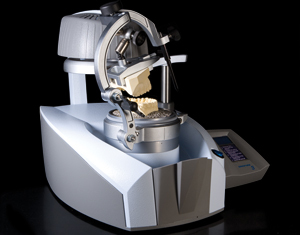 The Erkoform-3d from Glidewell is the latest advancement in thermoforming dental technology. Designed to thermoform and imprint the opposing bite for optimum fit, this unit includes a touchless temperature control, reserve vacuum, preprogrammed settings and a touch panel screen. No compressed air supply is required'simply plug it in to begin thermoforming. With more space for taller models and an improved Balkwill angle on the Occluform-3, the Erkoform-3d will increase productivity and cut laboratory costs. Purchase of the Erkoform-3d includes a material samples kit, step-by-step technique manual, and technique DVD.